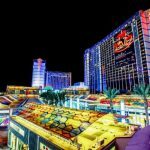 Entertainment have signed a multi-year agreement to move the event to Bally’s Las Vegas. The 21st edition of the National Horseplayers Championship (NHC), presented by Racetrack Television Network, Caesars Entertainment and Bally’s, will be held February 7-9, 2020. Bally’s, which completed a $125 million renovation in 2018, previously hosted the NHC from 2003-2007. 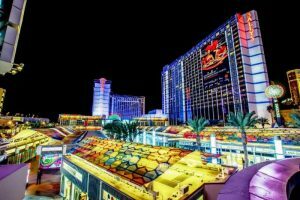 “Caesars Entertainment is a world-wide leader in gaming, entertainment and customer service. We look forward to working with them as we return the NHC to the newly renovated Bally’s in the heart of the Las Vegas Strip,” said Keith Chamblin, Chief Operating Officer of the NTRA and NHC Tournament Director. The 2020 NHC will take place in the Bally’s Events Center, a 40,000 square foot space that will nearly double the NHC’s footprint while being transitioned into the world’s largest race book. “The NTRA National Horseplayers Championship is the premiere handicapping tournament in all of thoroughbred racing. We look forward to hosting this tournament at Bally’s Las Vegas inside our world-class Events Center, along with showcasing our recently renovated room product,” said Jim Korona, Vice President of Casino Marketing with Caesars Entertainment. Bally’s Las Vegas is located on the center of the world-renowned Las Vegas Strip, across from Caesars Palace and next to Paris Las Vegas. The 44-acre resort consists of two 26-story hotel towers including the Jubilee Tower and offers more than 2,800 guestrooms, including 244 suites. Bally’s Las Vegas features highly acclaimed restaurants including BLT Steak and Sea Thai, as well as the famous Sterling Brunch, a relaxing pool oasis, a lavish spa and casino space featuring a poker room, 1,500 slot machines and a first-class Race & Sports Book known for its stadium-style seating and abundance of high-definition television screens. Nitro Circus Theater will house the first-ever Nitro Circus stage show featuring spectacular feats and unbelievable stunts in an intimate theater setting. Bally’s Las Vegas is operated by a subsidiary of Caesars Entertainment Corporation (NASDAQ: CZR). For more information, please visit ballyslasvegas.com or the Caesars Entertainment Las Vegas media room. Find Bally’s Las Vegas on Facebook and follow on Twitter and Instagram.